Is Shade 42 (Black Cherry) right for you? Garnier Nutrisse Deep Burgundy 42 (Black Cherry) is our deepest burgundy shade in our classic Nutrisse range, and it provides 100% gray coverage. This shade is best for anyone with natural hair between light brown and black. If you prefer a different burgundy shade, check out our Ultra Color range: BR1, BR2, and BR3 that will reflect much more intensely. If Burgundy isn't for you and you would prefer to remain in the dark brown range, there are many shades to choose from including 40, 413, 415, 43, 434, and 452. *For women with currently color treated hair, there are special considerations for the color result you can achieve. Because of this, we do not recommend shade 42 (Black Cherry) for hair that has been previously colored Darkest Brown 30 (Sweet Cola) or darker. For more help, use our Shade Selector Tool to find the perfect shade for you! Nutrisse Colorant: Aqua/Water, Cetearyl Alcohol, Deceth-3, Propylene Glycol, Laureth-12, Ammonium Hydroxide, Oleth-30, Lauric Acid, Hexadimethrine Chloride, Glycol Distearate, 4-Amino-2-Hydroxytoluene, Ethanolamine, Polyquaternium-22, Silica Dimethyl Silylate, Ci 77891/Titanium Dioxide, Ascorbic Acid, Sodium Metabisulfite, Toluene-2,5 Diamine, Dimethicone, Pentasodium Pentetate, Parfum/Fragrance, Carbomer, Resorcinol, Vitis Vinifera Seed Oil/Grape Seed Oil. F.I.L. D35186/4. Fruit Oil Concentrate: Paraffinum Liquidum/Mineral Oil, Vitis Vinifera Seed Oil/Grape Seed Oil, Parfum/Fragrance, Tocopherol, Rosmarinus Officinalis (Rosemary) Extract. F.I.L. D25829/5. Rinse-Out Conditioner: Aqua/Water, Cetearyl Alcohol, Elaeis Guineensis Oil/Palm Oil, Behentrimonium Chloride, Pyrus Malus Extract/Apple Fruit Extract, Glycerin Parfum/Fragrance, Stearamidopropyl Dimethylamine, Niacinamide, Pyridoxine Hcl, Butyrospermum Parkii Butter/Shea Butter, Citric Acid, Olea Europaea Oil/Olive Fruit Oil, Saccharum Officinarum Extract/Sugar Cane Extract, Benzyl Alcohol, Chlorhexidine Dihydrochloride, Persea Gratissima Oil/Avocado Oil, Ribes Nigrum Oil/Black Currant Seed Oil, Linalool, Citrus Medica Limonum Peel Extract/Lemon Peel Extract, Ci 19140/Yellow 5, Camellia Sinensis Extract/Camellia Sinensis Leaf Extract, Ci 15985/Yellow 6. F.I.L. D35637/3. Nutrisse Developer: Aqua/Water, Hydrogen Peroxide, Cetearyl Alcohol, Trideceth-2 Carboxamide Mea, Ceteareth-25, Glycerin, Pentasodium Penetate, Sodium Stannate, Tetrasodium Pyrophosphate, Phosphoric Acid. F.I.L. D12836/26. 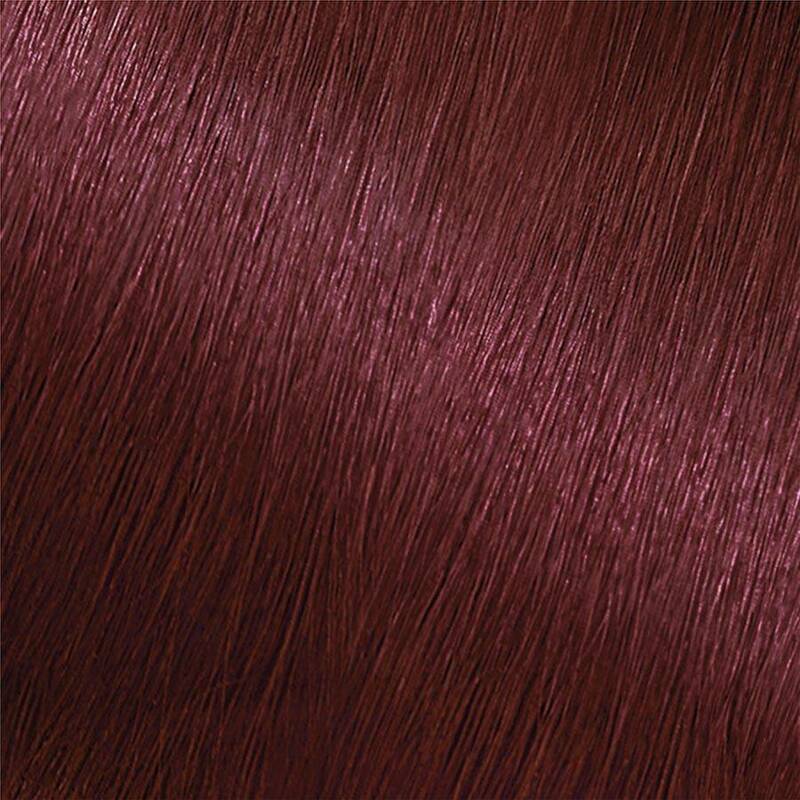 Rated 5 out of 5 by JoanShortHair from Fabulous dark purple I have been using this colour for years and receive compliments all the time. It is exactly the shade many reviewers state, almost black when first applied with purple visible in the light and then it slowly fades to a lighter purple over time. I am quite gray now and it lasts 4-5 weeks before it is just too light and it’s time for a redo. The other versions like BR1 and 2 are far too red and not nearly as dark. Rated 1 out of 5 by Mad lady from Black! It’s black with a hint of dark dark cherry I had lightened my hair from black to brown and was going red when I decided to use a deep burgundy color, big mistake! It turned my hair black! Only time an red tone is visible is in direct sunlight. Waste of money and damaged my hair for nothing, this hair dye is very drying. Rated 1 out of 5 by juliet_68 from purple cherry??? very disappointed in this color, I had hesitations when i saw the picture on the front but for reasons unknown went ahead and colored it last night! so now I am googling to try and find ways to fade it as quick as possible because I am afraid to color again!!! will not use again! Rated 1 out of 5 by Tracey D from I am now an Eggplant I purchased this about a month or two ago in anticipation of going darker for the fall/winter months. Much to my surprise, after it was finished, not only was it very dark, but in the light it is purple. When I went outside, the effect was even more dramatic and my entire head was quite purple, not red, not "cherry", but purple. There is a significant difference between cherry "red" and purple. My head is purple, not dark red. I have to go to work like this in a hospital and in a professional capacity. There are a lot of bright lights in a hospital. Again, I am not happy with this. I am a long-time customer and have never had this problem before. You may want to double check your definition of "cherry" and re-evaluate this particular color. Rated 4 out of 5 by EmilyJu from Love and hate the results This is my second time dying my hair burgundy. I previously used the Garnier BR2 intense burgundy which showed a more visible and lighter burgundy color and lighter hair color. This color (42) made my hair much darker than its natural dark brown color. My hair looks black in dark lighting. I should have reviewed the burgundy hair dye shades better to avoid my hair becoming so dark. I can only see the burgundy when there is a lot of room lighting on or in the sun, otherwise my hair just looks black with tints of burgundy. The product also took me 7 intense shampoo washes for it to fully come out. The smell of the dye is very strong too. Its hard to keep the dye in for the half an hour. I like how there are hints of burgundy in my hair from the hair dye but I wish my hair was lighter so I could see it better. 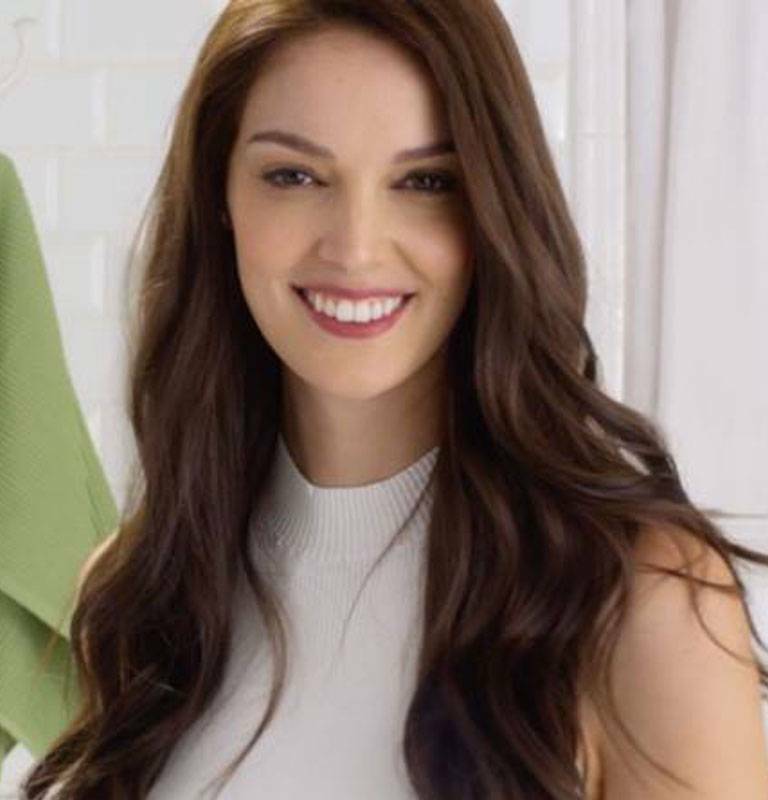 The last garnier color also did not last for more than 3 months too. Rated 1 out of 5 by HunnyBunny from Color did not take I followed the instructions exactly. Left the color in for the 25 mins like the directions said. After I rinsed my hair, it was still my original color. Rated 1 out of 5 by Kels13 from Not what I expected I bought 2 boxes just and was so excited to try it out only to find out that one of the boxes I got was a defect. One one of the application bottles turned burgandy and the other stayed white. And yes I followed the instructions. Now only half of my hair is dark and the other is light!